University of Virginia students had plenty of opportunities to prove their creativity this year, and they took full advantage. All over Grounds – on stages, in practice rooms, in museums, rap labs and classrooms – UVA students and faculty members produced extraordinary work and shared it with the world. 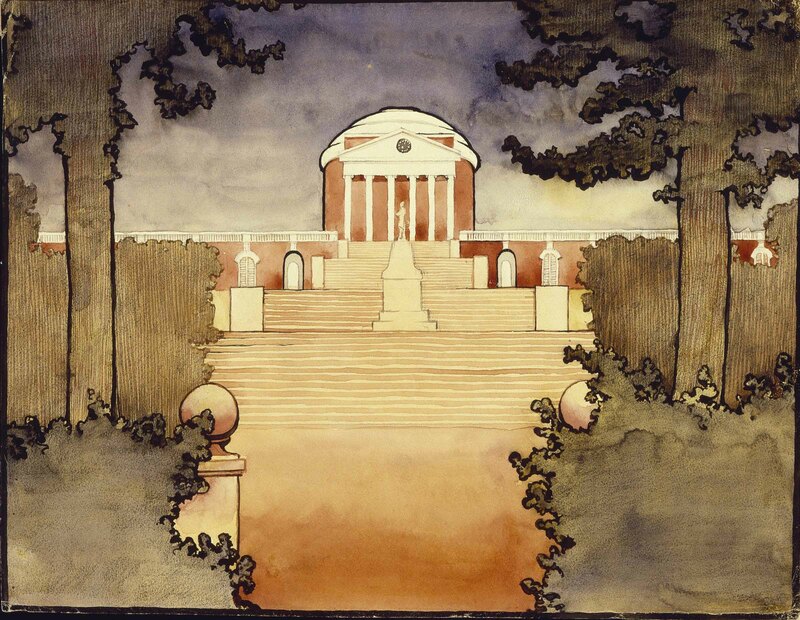 The exhibition, which closes Jan. 27, highlights O’Keeffe’s watercolors of places on Grounds and in Charlottesville and shows how the four summers she spent studying at UVA set the stage for her now-famous career. 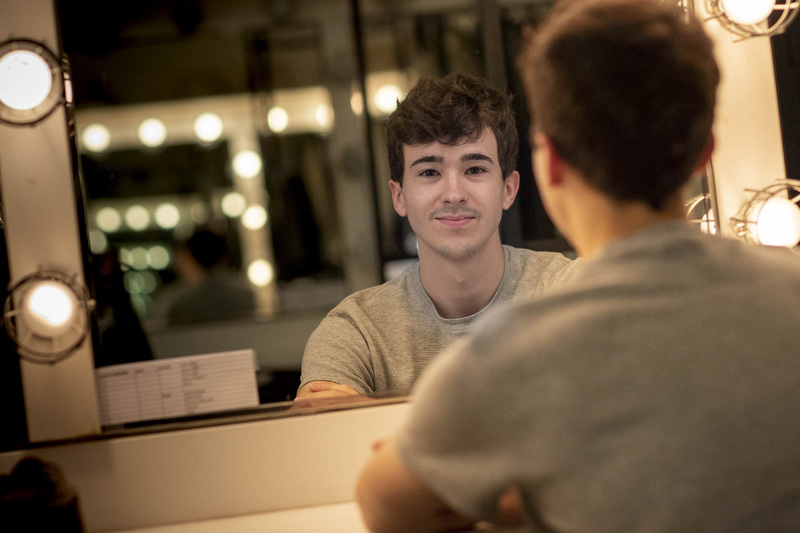 We followed along as 2018 graduate Julian Sanchez – now a graduate student in the same program that produced actors like Meryl Streep – took the stage at UVA one last time, playing aspiring Broadway actor Paul San Marco in “A Chorus Line” during this summer’s Heritage Theatre Festival. The festival, coming up on its 45th year, brings professional actors and directors to Charlottesville to work alongside UVA students and faculty members for a series of plays and musicals each summer. 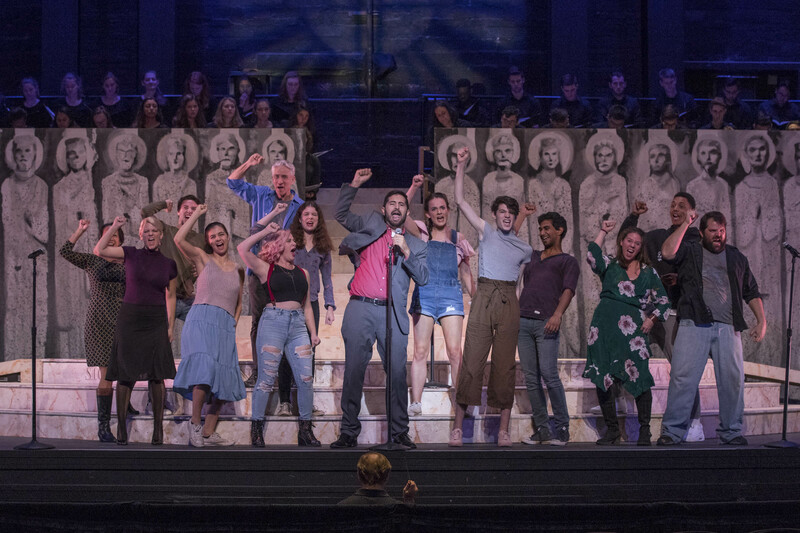 More than 150 musicians, dancers and vocalists from UVA, Charlottesville and beyond came together in October to perform Leonard Bernstein’s “Mass,” originally created by the famed American composer at the request of former first lady Jacqueline Kennedy Onassis. The piece captured what Bernstein saw as a crisis of faith in the 20th century, particularly after John F. Kennedy’s assassination. It calls for a huge variety of performers, making this year’s performance one of the largest UVA’s McIntire Department of Music has ever produced. 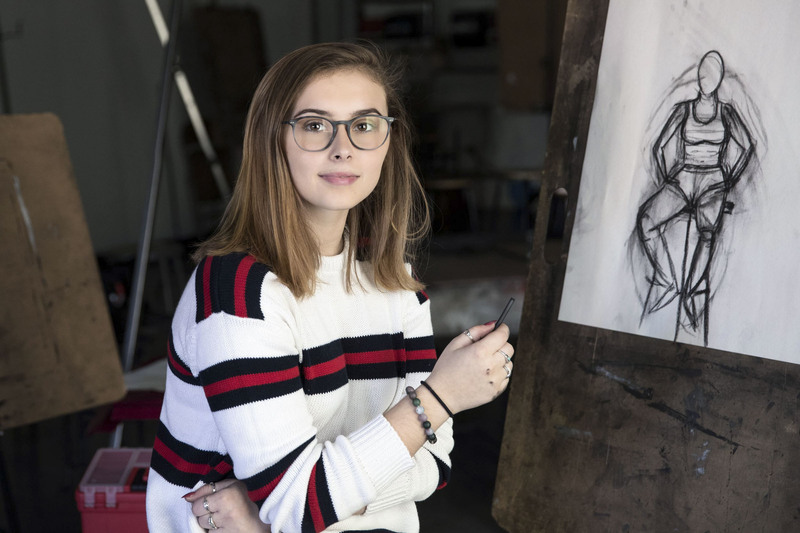 First-year student and Charlottesville native Emma Hitchcock co-founded “Art for the Heart” with her friend Zadie Lacey to provide art workshops for the homeless, a group she worried was too often ignored and denied even basic human connection. 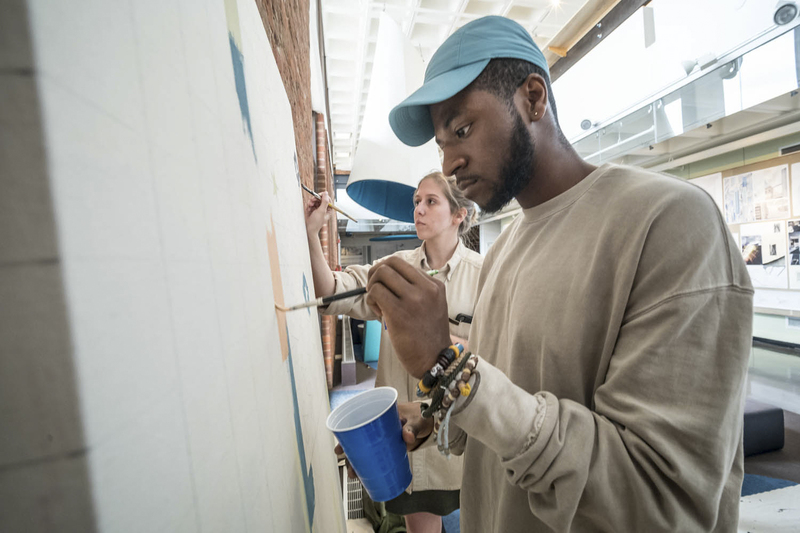 Hitchcock and Lacey, who refined their idea in UVA’s iLab, have conducted several winter and summer art workshops at The Haven, a day shelter for the homeless in downtown Charlottesville. The workshops have included painting, drawing and jewelry-making, which has proven a popular option. Shea Megale might not have full use of her arms and legs, but her imagination runs wild. The second-year student, who was born with Spinal Muscular Atrophy II, wrote her first novel at 15 and has since written 13 more. Her first professionally published novel, “This is Not a Love Scene,” will be published in May by St. Martin’s Press. Another book, also coming out next year, is heartbreakingly personal: a memoir of her brother Matt and his fatal struggle with addiction. Even as these two books near publication, and as she continues to cope with her own grief, Megale is building a new life on Grounds, which she navigates with her service dog, Pierre. Art and architecture professor Sanda Iliescu still keeps the small American flag that her mother, a Romanian dissident, waved when welcoming President Nixon to Romania in 1969. Just a few years later, the family fled to the U.S. to pursue the freedom they dreamed of. In May, Iliescu had students work together to create their own version of the flag, pouring into it everything the country means to them and their families. Scores of students and community members painted a small piece of the larger whole, creating a tapestry-like flag rich with color, texture and meaning. 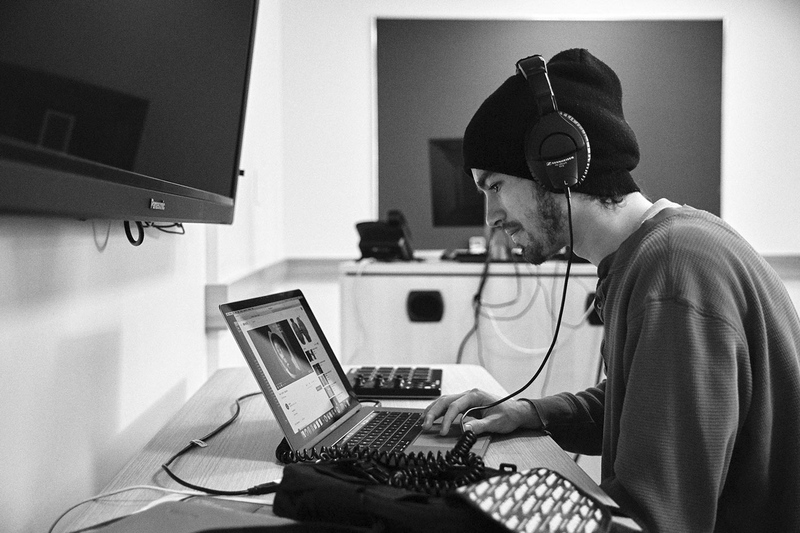 A group of 14 students in music professor A.D. Carson’s “Composing Mixtapes” course produced a 15-song mixtape for their final exam in the spring. They wrote, performed, recorded and produced the entire album, and coordinated a premiere at Boylan Heights. Students said they enjoyed collaborating with their classmates on lyrics and performances, building confidence on stage and off, and learning the ins and outs of music production. All across Grounds, students and faculty members used 3-D printers, robotic arms, laser cutters and many other tools to turn their ideas into reality. 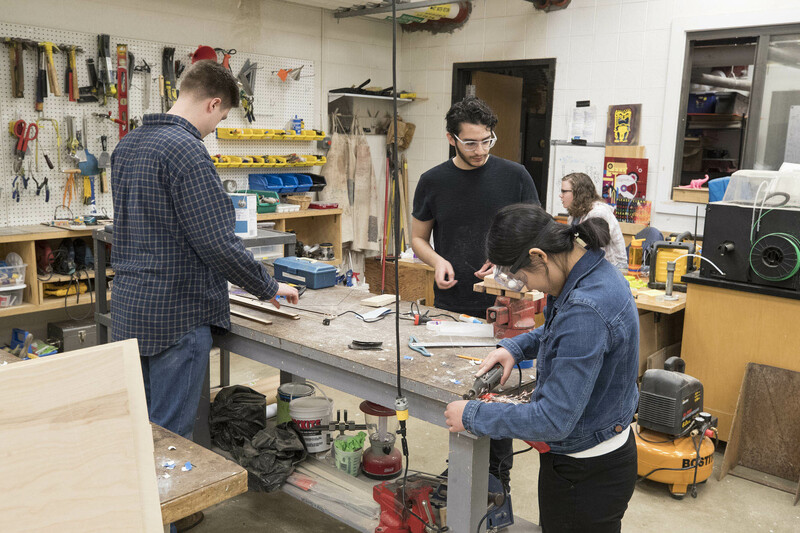 They call themselves the “Makers of UVA,” and they can be found in a growing network of “Maker Grounds” spaces across the University. These labs have produced 3-D printed images of patients’ skulls – enabling UVA doctors to precisely plan surgeries, replicas of William Faulkner’s pipes, robots, racecars, tiny, detailed models of the Rotunda, and much, much more. 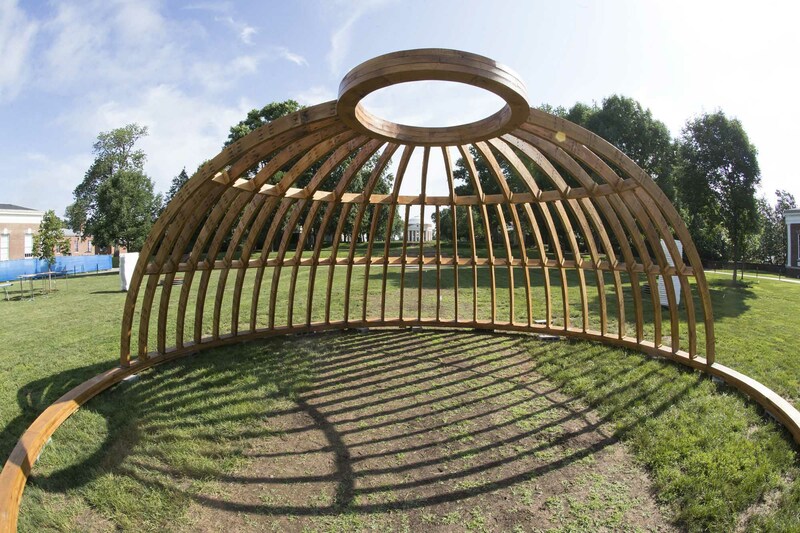 In the spring, 15 students in Benjamin Hays’ “History of American Building Technology” course built a replica of the original wooden dome that perished when the Thomas Jefferson-designed Rotunda caught fire in 1895. Jefferson’s designs were inspired by the work of 16th-century French architect Philibert Delorme, who pioneered the technique of using wooden ribs to create beautiful, sturdy domes. The Virginia Film Festival brightened the first weekend of November with a star-studded slate of special guests, Oscar-worthy films, discussions and master classes. This year’s guest list included civil rights activist Martin Luther King III, the eldest son and namesake of Rev. 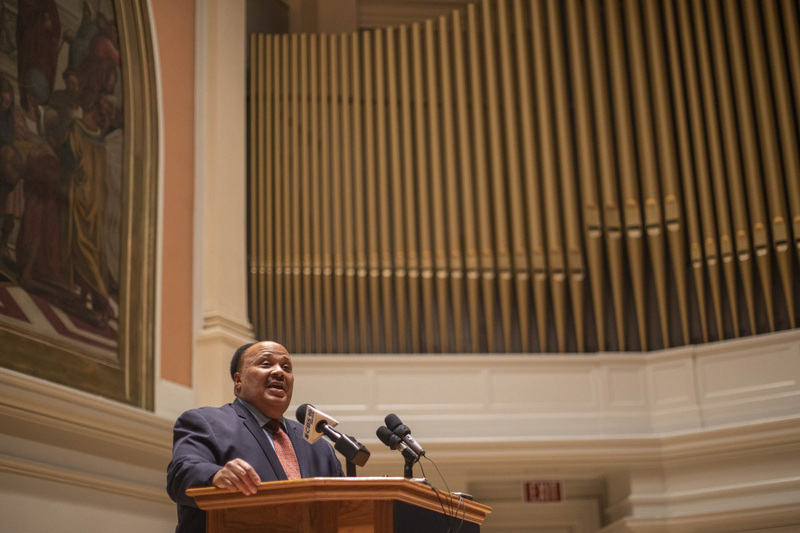 Martin Luther King Jr.
King visited for the premiere of “Charlottesville,” a new documentary produced in part by UVA’s Center for Politics that focuses on the violent Unite the Right rallies in August 2017. Before the screening, he retraced his father’s footsteps in Old Cabell Hall, where the elder King spoke to more than 900 students and faculty in 1963.